BBB&J is the only private orthopaedic practice in Baldwin County offering on-site MRI services to our patients – with convenience in mind! Our Philips Achieva 1.5 Tesla MRI unit offers the same advanced technology and digital imaging found at larger hospital facilities. We offer convenient, prompt service and our dedicated, certified MRI technician will thoroughly explain the procedure during your visit. We even provide a headset, allowing you to enjoy your favorite music selection during your visit! 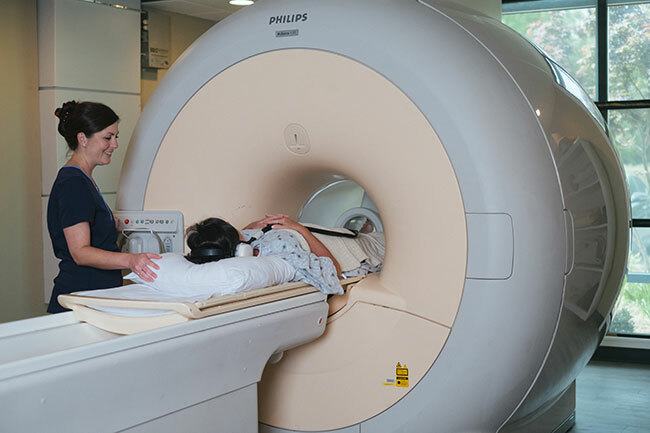 Our MRI appointment schedule was recently expanded to 10-hour days; Monday through Thursday. This will provide our patients additional early morning and late evening appointments. Baldwin Bone and Joint P.C. provides the latest in Digital X-Ray technology. Digital imaging allows our physicians to offer more accurate diagnoses. “Going digital” is great news for our patients. X-ray images are available immediately, so patients spend less time waiting and more valuable time with their physician. Digital images can be manipulated after processing, resulting in fewer “retakes” and less exposure to radiation. 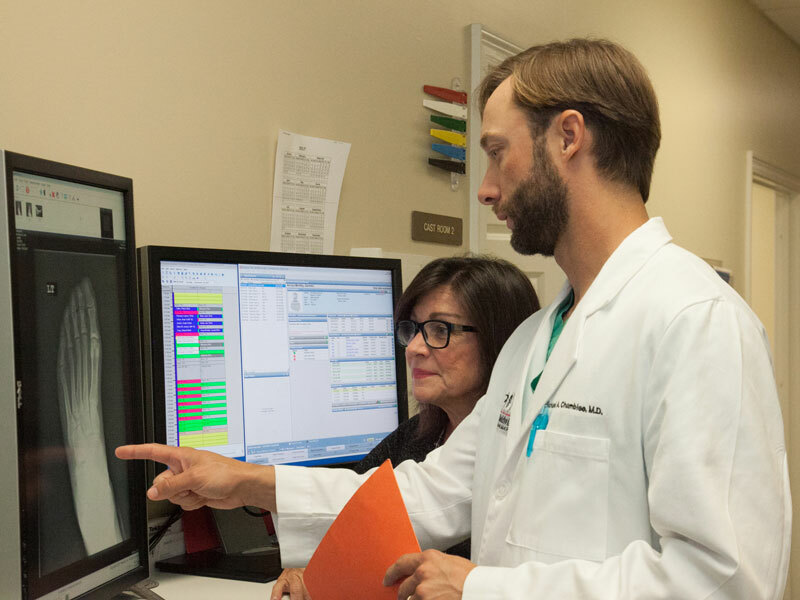 Digital pre-operative planning tools give our surgeons the ability to more accurately plan surgical procedures and analyze post-operative images. Because the X-rays are digitally stored, unlimited digital copies of images can be made without degradation in quality.